498 pages | 55 Color Illus. Introduction to Medieval Europe 300–1500 provides a comprehensive survey of this complex and varied formative period of European history, covering themes as diverse as barbarian migrations, the impact of Christianisation, the formation of nations and states, the emergence of an expansionist commercial economy, the growth of cities, the Crusades, the effects of plague, and the intellectual and cultural life of the Middle Ages. The book explores the driving forces behind the formation of medieval society and the directions in which it developed and changed. In doing this, the authors cover a wide geographic expanse, including Western interactions with the Byzantine Empire and the Islamic World. 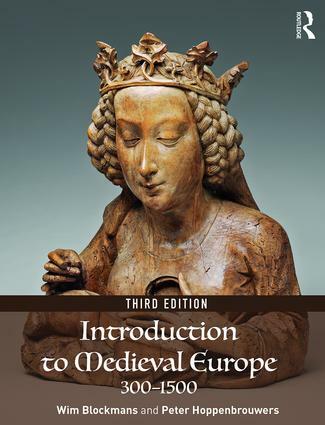 Clear and stimulating, the third edition of Introduction to Medieval Europe is the ideal companion to studying Europe in the Middle Ages at undergraduate level. Balance: the end of Roman civilisation? • New chapter resources, suggested medieval films and novels to be assigned alongside each chapter. The companion website is a free resource which also features, for instructors, assignable discussion questions and all of the images and maps in the book available to download, and for students, a comparative interactive timeline of the period and links to useful websites.